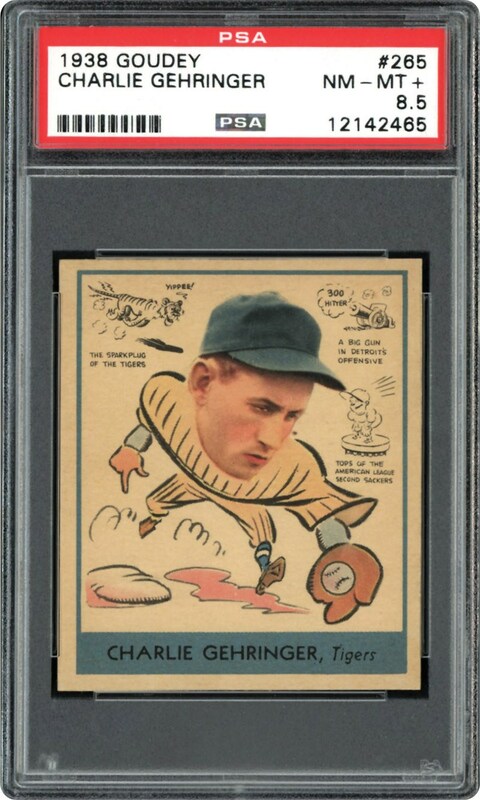 Lot # 115: 1938 Goudey “Heads-Up” #265 Charlie Gehringer (PSA NM/MT+ 8.5) - “1 of 1” & HIGHEST GRADED Example! 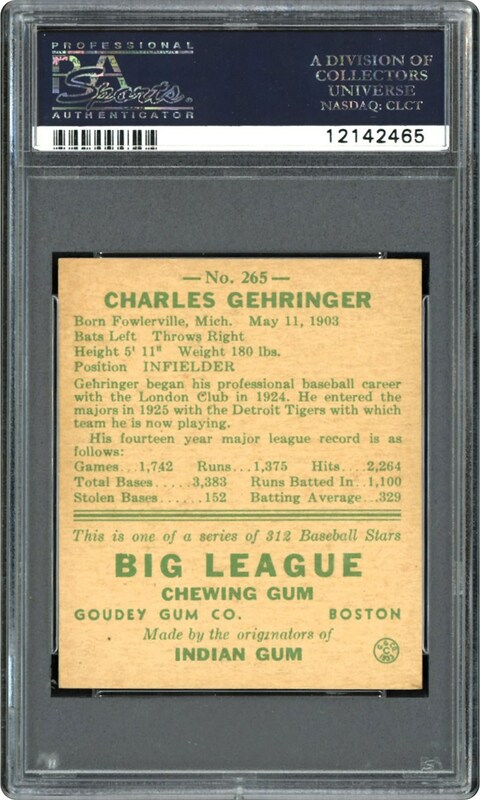 1938 Goudey "Heads-Up" #265 Charlie Gehringer (PSA NM/MT+ 8.5) - "1 of 1" & HIGHEST GRADED Example! The sheer excitement of a "1 of 1", highest graded vintage card knows no peers, substantiating why this sole and finest of its kind PSA NM/MT+ 8.5 Geiringer marvel merits the highest hobby accolades! Hall of Famer Charlie Gehringer was one of baseball's greatest 2nd baseman ever, accumulating Hall of Fame statistics such as a .320 lifetime batting average and seven different seasons in which he stroked over 200 hits and knocked in over 100 runs! His .371 average in 1937 earned him the MVP award and he led the Detroit Tigers to three pennants. His scintillating appearance on this world-class offering is likewise championship caliber via its pristine-like surfaces, razor sharp corners, fine centering, obverse side bold/vivid anecdotes and breathtaking Gehringer image. A "pack-fresh" blazer for sure, it shares the honored distinction with a handful of other examples as the finest of its kind!